Coffee Adventures is a modest size tour and hotel company with a big reputation. We organize half day, full day and if you wish multiple day private excursions in and around Boquete and the Chiriqui highlands. Coffee Adventures is specialized in affordable quality private tours and Deluxe Adventures lodging. How may we help you, to make your Panama adventure a success ? In Boquete en surrounding areas you will find some of the best bird watching spots in Panama. We offer a complete program of birdwatching excursions /tours for the novice and experienced bird watcher. Every excursion is tailored to the wishes of our guest. Bird watching with Coffee Adventures is always a private tour adjusted to your interest. The cloud forest of National park Volcan Baru and La Amistad has some of the best trails of Latin America. The most interesting and beautiful are the old Indian trails and the sendero los Quetzales. Check out our hiking page, we love to guide you into the green world of the cloud forest. This tour will help you understand the Boquete valley and will give you a head start in finding the best real-estate for you. It's NOT about selling you property ! on one of the old trails around Boquete. the Comarca is special ! rural territory's of Panama ! If your next stop is Boca del Toro ? This is the same program but includes the transfer to or from Almirante (Bocas del Toro). With this tour we change a tiring travel day in a wonderful vacation day ! It's turns a travel day in an adventure that will show you the real Panama. truly in the Jungle ! Imagine waking up in the morning with an orchestra of birds. Enjoy the fresh clean mountain air. Starting the day with a good cup of the finest Arabica coffee on your own porch over looking the forest. With Tinamou Cottage, we made it possible to share this incredible experience with our guest! 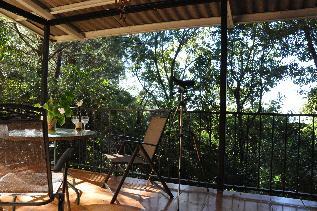 Specially if you are a bird watcher and/or a nature person, we like to invite you to stay at Tinamou Cottage. Close to Boquete with all it's comforts but truly in the Jungle! On all excursions, we will be your hosts. Please note: Some travel books will give you the phone number of the farm ! Pricing do not include sales tax and prices can be subject of change without notes.